This barrel-inspired beauty is simplicity stretched to its limits. 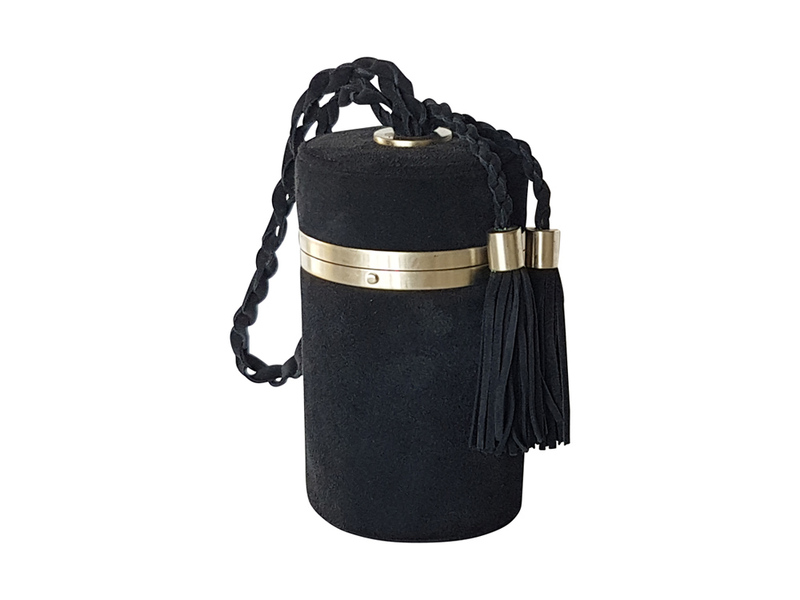 Made to fit just a handful of your precious belongings, there is absolutely no doubt you'll be the evening star. Small braided handle in genuine suede leather.